"Jurassic World" hit theaters this weekend and grossed a record breaking $83 million on Friday to earn the biggest June opening day of all time. The film beat the previous record holder "The Twilight Saga: Eclipse," which grossed $68 million in 2011. Insiders are predicting that "Jurassic World" may end up with as much as $190 million over the weekend. The biggest weekend record is held by "The Avengers" with $207.4 million. Only time will tell if "Jurassic World" will be able to take down the leader. With such positive news, it's not surprising that Universal Pictures thought ahead and locked its lead actor, Chris Pratt (Guardians of the Galaxy), for sequels. In a new interview, Pratt confirmed that he's on board for "Jurassic World 2," stating: "I am. They have me for I think 38 movies or something." No kiddding. Tell us something we don't know. I guess that means a bunch more of these f*ckers. Good for Pratt. Oh wow...it turns out that beating the dead horse really works. Looks like the force is strong with Pratt,big numbers both for this and last years GOTG. his salary will increase for sure in the next years. Probably not even gonna watch this crap ! Cgi looks outloud laughable !! Congrats to Patrick Dempsey as he finished on the podium in Le Mans. (Obviously in his category). 'Mr.Nobody' is f*cking boring. It's like 'Boyhood' with alternate realities. I want to see GotG 2 more than a Jurassic World sequel, maybe I will change my mind after seeing JW. Jurassic world made $204,600,000 this weekend !!! Lol, Jurassic World has made $511 million worldwide already! With no real competition until Terminator Genisys on July 1st, Jurassic World will likely clear over a billion worldwide by then. Seriously... 500 Million this fast is insane. "Seriously... 500 Million this fast is insane." JW opened in 66 markets concurrently, not 66 markets over a three-week spread. So of course it made a great deal of dinero worldwide. One big cash grab. And it'll probably keep making good money right through the latest Terminator flick, too, because I just don't see that piece of sh*t making much money at all. Yep. And I'm sure we'll see the sequel by 2017. It's been getting good reviews from everyone I see on Facebook. Might go to a late show tonight. You gonna download mink? Nah. I've never been a fan of Jurassic Park or its sequels. Maybe when Yify rips the bluray. I just don't get them. Thy're not really action films because there's not much in the way of action. They're not much in the way of science fiction because there's nothing in them that's sceintifically thought-provoking. Adventure? But the characters don't really go anywhere. Comedy? Hardly. Drama? Not serious enough. 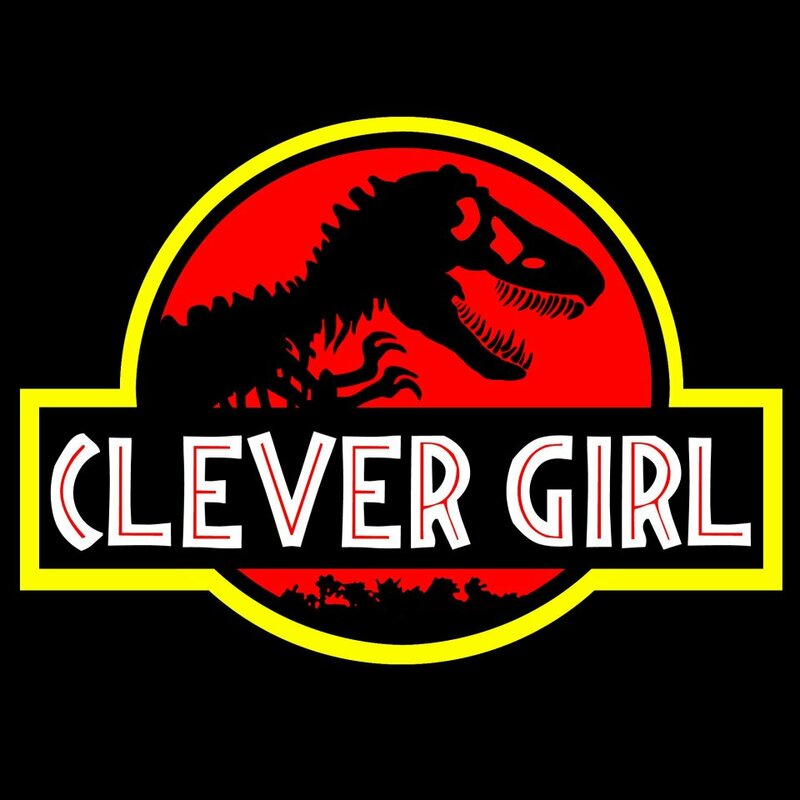 Jurassic Park is basically nothing more than CGI dinos chasing people, which was fine the very fisrt time, but not the fourth. But hey, Transformers and those terrible Pirate of the Carribean films make a lot of money, too. The reason being I have 1400 songs that take up all my space. Now I could easily delete all my music and have enough space, but doing that would mean I'd never have those songs back or I'd have to redownload them all seeing as my old computer with said music has since broken and been wiped. Is there a way to either 1- Add more space to my iPhone 4s so I can update my iPhone to iOS 6-8 or 2- Find something that allows me to transfer my music to something so I can just re-add them if I get a new phone. You cannot add more storage space to an iphone or ipod because the storage is non-removable. You need to either sync all of your music with icloud on itunes or whatever or you need a computer to sync it with. Any music you have not from the itunes store needs to be transferred to a computer with a program like copytrans suite. There may be some other ways to do it but that's just off the top of my head. I wouldn't update to the latest iOS anyway. Can't be fully jailbroken. Last time I had looked I couldn't backup music to iCloud or iTunes. I basically want something I can back my musical and stuff up to and then redownload it all from that backup to my new phone whenever I get one. Music is the most important. I could live with losing all my notes and apps cause i can redownload the apps (Which is barely any important ones) and copy paste the notes to facebook and re-add them to my new phone. The simplest thing to do would just backup the music to iTunes, get a new phone, then toss it from that iTunes to my phone. But like I said, I don't really think I can do that lol and Thanks for the reply! The link you sent me seems to be exactly what I'm looking for. Thanks! I didn't check fink's link but it's likely similar to copytrans suite which I used before. It tricks itunes into thinking music on your device not purchased from the itunes store was and you can transfer everything to your itunes library. Music you dl from torrents or a dropbox for example. I also never understood the big love for JP. the first movie was highly overrated. those annoying kids had too much screen time and Sam Neill was no Harrison Ford. the cgi dinos were nice but that's about it. in the end it was a kiddie movie. I'll be sure to check em both out when I need to do it. "in the end it was a kiddie movie." Not even a particularly good kiddie movie, either. A lot of computer-generated dinosaurs chasing stupid people. Kind of like Jaws, just not as well-crafted a story. Once you get past the novelty of the technology involved, it becomes a pretty mediocre film. Replace the dinos with something else and it's basically The Birds, just not as good. was never a big fan of 'the birds' as well.one of Hitchc*ck's more overrated movies. I'll take 'Psycho' or 'Vertigo' instead any day. Rear Window is the ultimate Hitchc*ck beast. The Wrong Man, Frenzy, Notorious, Shadow of a Doubt, Rope, and Dial M for Murder were also pretty good. The Lady Vanishes started out well but derailed in the middle act.
" was never a big fan of 'the birds' as well.one of Hitchc*ck's more overrated movies." It's a decent film, though certainly not Hitchc*ck's best. Worst part for me is the damned birds, which look like exactly what they are: rotoscoped avians ridiculously composited onto live-action plates. Pretty good one, back when Sharon Stone was gorgeous as hell and Arnie wasn't some old fat loser. ^Yes,Sharon Stone was the prettiest woman in Hollywood those days.looked perfect in that film. Love Chris Pratt. Funny how his career is shooting into outer space and Anna Faris is kind of going down the toilet.